In the Northern Hemisphere Winter Solstice, usually December 21, heralds both the time of deepest darkness and the beginning of the return to light. It is a liminal day offering a transformation from darkness to light. In the mid-latitudes in the ten days after the winter solstice the hours of sunlight increase by only a few seconds up to a minute or so. The world slows down allowing a time to relish the quiet of long nights and the inspiration of winter dreams. Our ancestors through out the world honored an aspect of the Dark Goddess at this time. Inanna, ancient Sumerian Goddess, played many roles for Her people. She was maiden, queen, gift giver, lover, and wife. She became a Dark Goddess when she heard the call of the Underworld, which was ruled by Her sister, Erishkigal. She passed through the seven gates and entered Her sister’s realm, naked and bowed low. She died and was reborn. But She was transformed by Her experience of the darkness, gaining maturity, depth and clarity of vision. She was required to choose an alternative to take Her place, assuring the cyclical nature of transformation. This was not an easy choice but She chose Her husband, Dumuzi. Out of all Her relations he was the only one who had not mourned Her death but instead had rejoiced in the resultant increase in his power. One of the most well known stories about the transformative nature of this time of darkness is the Greek myth of Demeter and Persephone. Demeter, Earth Goddess of Grain had a daughter, Persephone. Persephone lived in the golden glow of her Mother’s love and protection. But like all youth she was compelled by curiosity and divine force to begin a journey of completion. Persephone was walking in a meadow one day and she saw the beautiful narcissus flower – the flower of death. As she reached down to pick the flower, the earth split open, releasing Hades, the Lord of the Underworld. Hades then took Persephone, willingly or otherwise, in a Spiral Dance into the shadows of the underworld. During this time Demeter was wild with grief. She searched and searched for Persephone. When She learned the truth of her abduction She caused all vegetation to die and wither on the vine. Finally, with Zeus’s urging, Hades relented and released Persephone. But before She reached the Land of Living she ate six pomegranite seeds thus sealing her fate of eventual return. Like Inanna, she returned changed. She was filled with wisdom and knowledge of existence outside of her Mother’s realm. She had learned the power of transformation; from death to rebirth, from dark to light, lost to found, chaos to clarity, fear to transcendence. And she was the one who must return to the Underworld for six months every year, recognizing the transformative power of darkness and the cyclical nature of transformation. 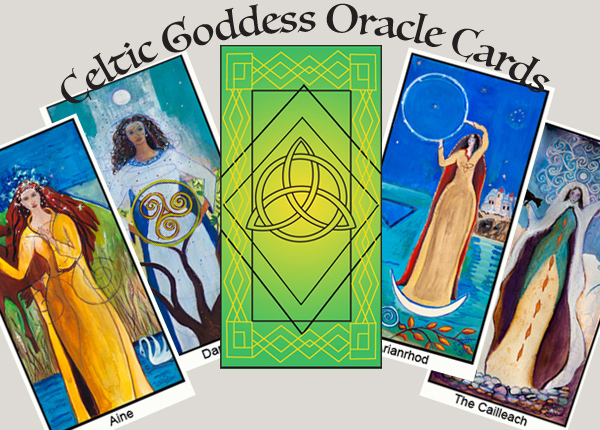 The ancient Celts also recognized a goddess at this time. The Cailleach (KAL-y-ach), which literally translates as the “Veiled One” is an ancient Dark Goddess whose origins are unknown. When the Celts arrived in Ireland and Scotland She was there. She is the embodiment of winter, clothing the land with the whiteness of snow, ending the time of growth with the time of death and darkness. As “The Veiled One”, in the quiet, dark of winter, She rules the hidden worlds, reigning over our dreams and inner realities. In one of Her stories, The Cailleach, as an old hag, seeks love from the hero. If he accepts Her, She then transforms into a beautiful young woman, symbolizing the transformation occurring in the depths of winter when the seeds lay dormant in the earth. Yet alive within this dormancy is the promise of rebirth in the spring, when Brigid picks up the mantle of the Goddess. The Cailleach is the guardian of the life force, finding and nourishing the seeds, commanding the power of life and death. She personifies death and the transformative power of darkness. She leads us through death to rebirth. The Winter Solstice is a perfect night to light a candle and meditate on the wisdom of these Goddesses. They invite us down the path toward our inner darkness, through the barren surface into the unconscious depths where healing and new life begins. They teach us that we must take charge of this journey of transformation fueled by our dreams, introspections and inspirations. They teach us that on the other side of every fear we find freedom; we must die to our old ways in order to be reborn. This quiet, dark time allows us to arrive at deeper levels of understanding and perception. May your night be warm and filled with dreams of inspiration. Thanks for retelling the old stories! It is a labor of love – this retelling. Wonderful article – thank you and Happy Solstice! I actually shared it on FB, too and got quite a few likes and shares. Hope it makes the rounds in a big way! Sighild, Thanks to you for sharing. Your blog is full of great info I see.